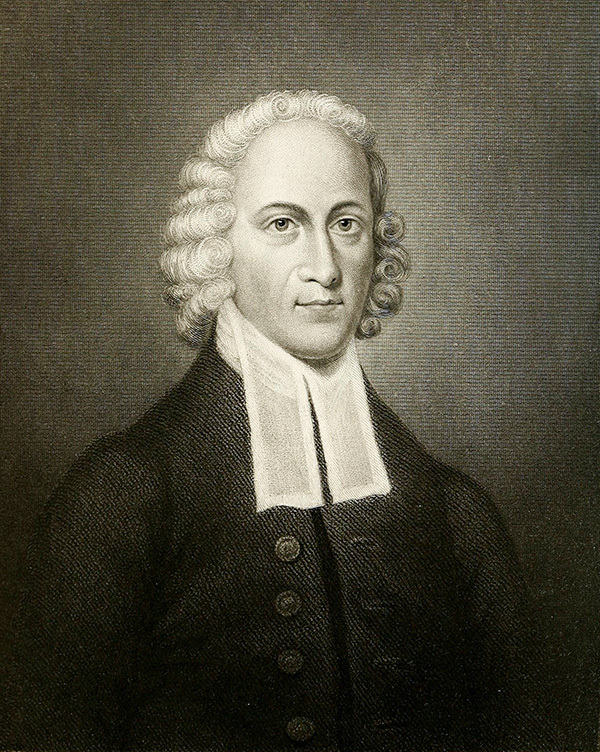 Jonathan Edwards is likely the most brilliant mind that America has ever produced. He was born into a Puritan and pious home in Connecticut in 1703. His early education centered on the Bible, theology, languages, and the classics. After completing undergraduate and graduate studies at Yale, Edwards became the pastor of the congregational church in Northampton, Massachusetts. In 1727, he married Sarah Pierpont, an exceptional woman with whom Edwards raised ten children. In addition to his great works of theology, devotion, and philosophy, Edwards was a prominent preacher in the spiritual movement known as The First Great Awakening. The spiritual and intellectual influence of this movement on us today cannot be measured. In Edwards, we find a brilliant theologian, devoted husband, tender father, compassionate pastor, and zealous evangelist. A lover of all souls, he had a special affection for young people. Jonathan Edwards embodies the ideals on which our academy is founded. We admire his love for the liberal arts, the classics, and the ancient languages. We are inspired by his early discipline and his earnestness to live a holy life. We yearn for his passion for lost souls. But most of all, we seek to carry on his passion: that all be done for the glory of God!